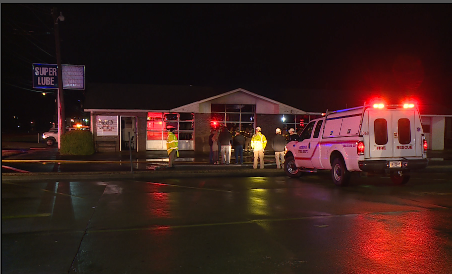 JACKSON, Tenn. — The Jackson Fire Department Battalion Chief Randy Hayes said they received call of a fire at Super Lube around 6:48 p.m. Thursday on North Parkway. Hayes said authorities shut down North Parkway in order to put out the fire. “Our guys did a good job. We got on it and got it knocked down quickly,” Chief Hayes said. Hayes said no one was inside the business at the time and no one was injured, and the owner of Super Lube suspects a possible cause of the fire. “He did say he had a waste oil burning heater that was located right under where the fire broke through the roof, but there was one vehicle inside the business,” Chief Hayes said. Thirty minutes after the fire was out, firefighters continued to put out hot spots in the shop. The Jackson Fire Department is still investigating the cause of the fire.